In the past saddles were built with a tree to distribute the rider’s weight over the horses back, while protecting and minimizing the pressure of the saddle tree at the shoulder and loin area of the horse. Ancient Chinese saddle tree / Photo courtesy of Christoph Rieser. The first saddle trees were used for work and functionality…which was key. The main base of the tree maintained the solid structure of the saddle and complimented the saddle support area. 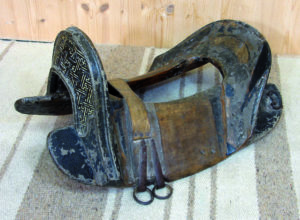 Saddles have evolved from being used for purpose/survival to working/functionality to sport/fashion. 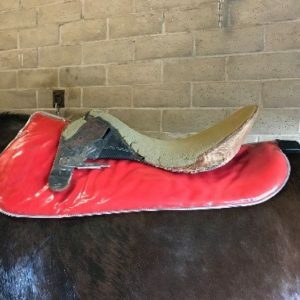 Over the years, sport and fashion changed the look and functionality of the saddle tree to the point where there is now barely any support left over the saddle support area of the horse. Ideal percentage breakdown of the Saddle Support Area with respect to carrying a rider’s weight. 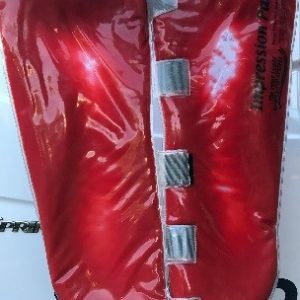 40% of the rider’s weight is ideally carried in the center of the saddle support area as noted and the remaining 60% of the rider’s weight is broken down into two 30% segments in the front and back areas of the saddle support area. This illustration explains the tree design from the past – the most weight bearing surface was in the center of the tree. In order for the horse to move freely through the shoulder with no restrictions, the horse needs to get the midsection of his back elevated. This then allows the pelvis of the horse to tuck under, which will, in turn, allow the horse’s hind leg to step through underneath. This makes it possible for the horse to carry the weight of the rider in a safe and sound manner. Unfortunately, most English saddle trees have become too narrow in the center (where 40% of the weight and the supporting surface should be). This is a big problem as the saddle lacks the dynamic fitting purpose of the “Tree-Lift” in the center of the saddle. Without the proper “Tree-Lift” the saddle tree is creating undue pressure at the front and back of the saddle. 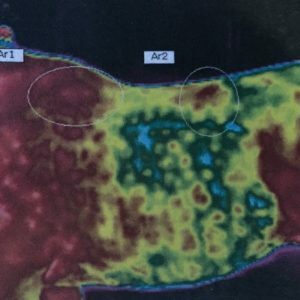 Localized high-pressure areas from conventional English saddles are not only painful but risk ischemic damage if the mean capillary pressure of approx. 4.67 kPa (kilopascal per square cm. of pressure) is exceeded for sufficient time. The industry has accepted pressure > 11 kPa to be a ‘reasonable threshold’ above which the risk of ischemic injury under saddle occurs, but only 4.67 kpa is recognized as already restrictive! 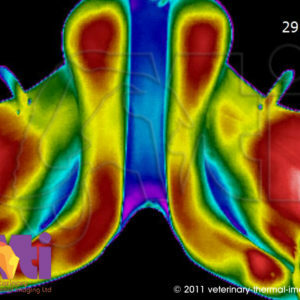 So that means that most saddles are already causing more pressure than is necessary to cut off oxygen from the tissues! 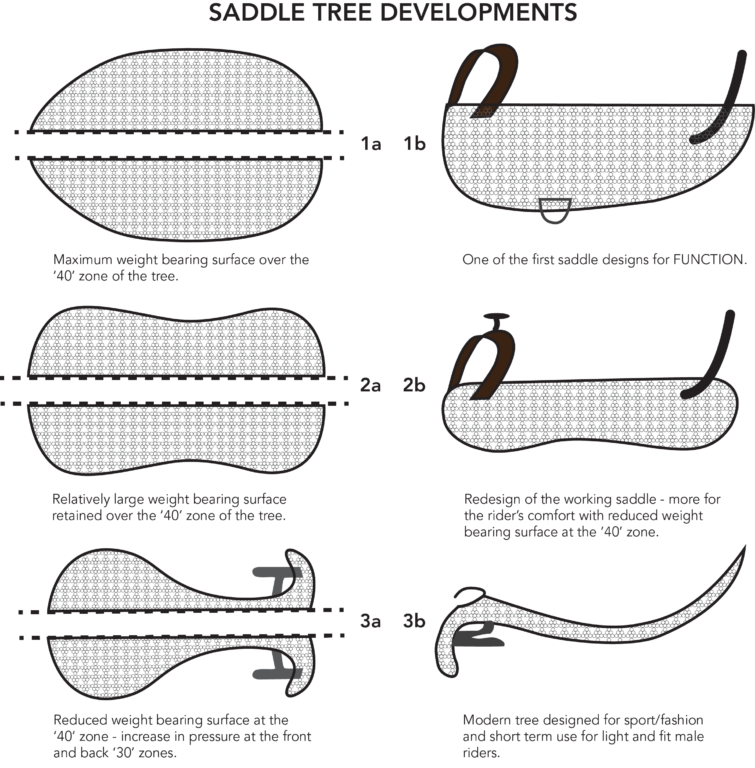 The saddle tree is recognized as being the foundation of the saddle to distribute the rider’s weight over a large area (the saddle support area) when the saddle is correctly fitted. We generally recognize this to be 4” on either side of the vertebra (about 2” down from the spinal processes on either side) in an area from the base of the withers to the 18th thoracic vertebrae. We calculate this as being on average 4 x 16 x2 = 128 sq. in. The rider’s body weight and the skill level also affect the force on the horse’s back, together with the weight of the saddle – which can be anywhere from 15-25 lbs. in an English saddle including stirrups. 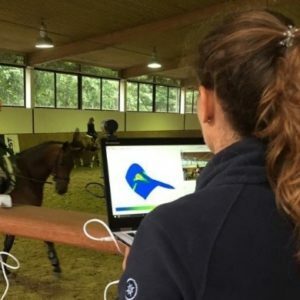 The force beneath the saddle also varies depending on girth tightness, and the inertial effects of the rider’s weight, which increases with speed within each gait. Maximal total force is approximately double the rider’s weight at the trot. Various tools to indicate where the modern saddle puts pressure. 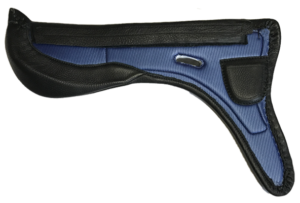 Our new PSI-Panel (patent pending) improves the necessary ‘Tree-Lift’ which allows the freedom of the shoulder and reduces the pressure over the rear and the front of the saddle. The PSI-Panel has expanded the ‘missing’ center of the tree (as per the illustration) to allow this action with a solid yet flexible insert. 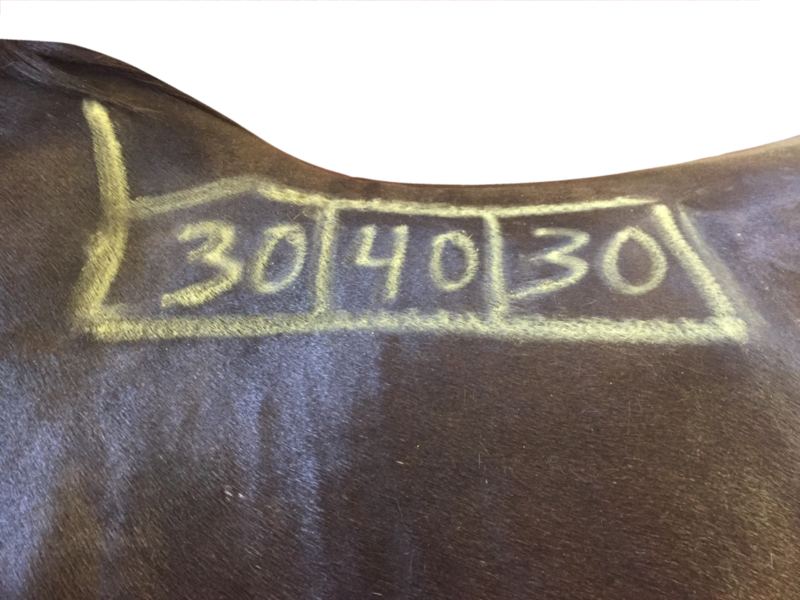 This is what reduces the overall KPa for the entire saddle – meaning more comfort and protection of the horse’s back as well as less chance of ongoing long-term damage!! This is why we have developed our revolutionary new PSI-Panel which brings back the knowledge of the past and aligns the functionality of years gone by with the sport and fashionable look of the modern saddle. Try it for yourself and see the difference in how your horse feels and moves – remember, the eyes, ears, and tail don’t lie! Aligning Functionality with Sport and Fashion! !